BE RECOGNIZED FOR YOUR COMMITMENT TO OUR ONE AND ONLY JEWISH STATE AND THE UNITY OF OUR JEWISH PEOPLE! 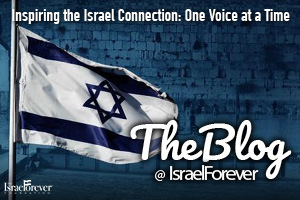 With each Israel Forever blog, program and campaign, we aim to foster a sense of belonging for Jews around the world who share a connection with and a commitment to Israel. Get Involved: Take Action as A Virtual Citizen of Israel! As a Virtual Citizen of Israel, your every action engages you with Israel in a personal and dynamic way while offering you access to VCI exclusive content, resources and opportunities as well as our one of a kind VCI Rewards program. SIGN UP TODAY AND DECLARE YOUR PRIDE! Be recognized for your commitment to Israel and join your fellow Jews in fostering unity, connection and appreciation of our ancient homeland and modern state. 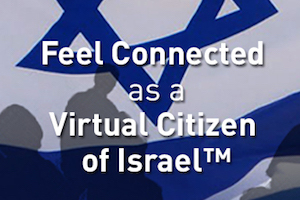 What does it mean to be a Virtual Citizen of Israel? Why is it important? How can I make a difference? Your personal connection through dynamic content, encounters, and engagement opportunities designed to strengthen your understanding, respect and pride. In our continued effort to help you celebrate your Israel connection, we are proud to present an exclusive set of discounts, opportunities and other benefits that all Virtual Citizens of Israel can enjoy! What would a virtual community for Israel be without Israelis?? Israeli Citizens can be Virtual Citizens, too!!! Connect with VCIs around the world and help them get to know Israel through the eyes and hearts of Israelis! Together, we can truly build a global Jewish community that unites Diaspora and Israeli Jews in real, dynamic, and meaningful engagement! 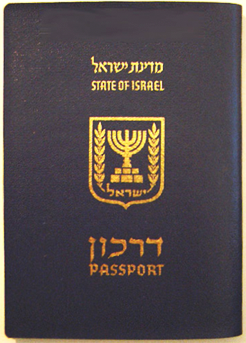 Please note: A Virtual Citizen of Israel™ is not recognized by the Israeli government as a form of Aliyah. It does not allot any physical or material benefits from or related to the State of Israel. There are no tax benefits nor can a VCI vote in the Israeli elections. While we welcome non-Jewish Friends of Israel Forever, the Virtual Citizens of Israel community is intended for members of the Jewish faith. Interested in creating a VCI community for your organization or network? In the spirit of Jewish unity, we believe that the more we work together, collaborate, pool resources and energy, the more of an impact we can have to help every Jew in the world feel connected with Israel and with each other. CONTACT US if you would like to create a VCI community of your own!